Paris was a birthplace of one of the most beloved painting styles in history and even more important – the first modern style in painting – Impressionism. Here is where its members met, learned to paint together, discussed art and made some of the most beautiful paintings in history. The second half of the 19th century shaped modern Paris and made the modern art happened. So, during my recent trip to Paris I wanted to follow in their footsteps and visit some of museums with their paintings. In the mid-19th century historical painting dominated in French art. Artists were trying to revive Classical goddesses in their paintings, creating the perfect woman and the ideals Parisian high class could admire.They were recreating the same subjects over and over again, hoping that critic will be propitious to them in the most important event of the year, the annual art show ‘Paris Salon’. However, a few young artists came to Paris at that time to learn how to paint and to pursue their career in the capital. Monet, Renoir, Sisley and Bazille met in one of the art classes and soon realized they were sharing the same progressive ideas about painting – they wanted to paint outside (instead in the studio) and were interested in the subjects such as nature, landscapes and real contemporary life. They wanted to capture the moment by painting fast and mixing paint on the canvas in order to show the real light and colors. The result were vivid paintings with vibrant colors documenting the life of the second half of the 19th century, Paris and its citizens. 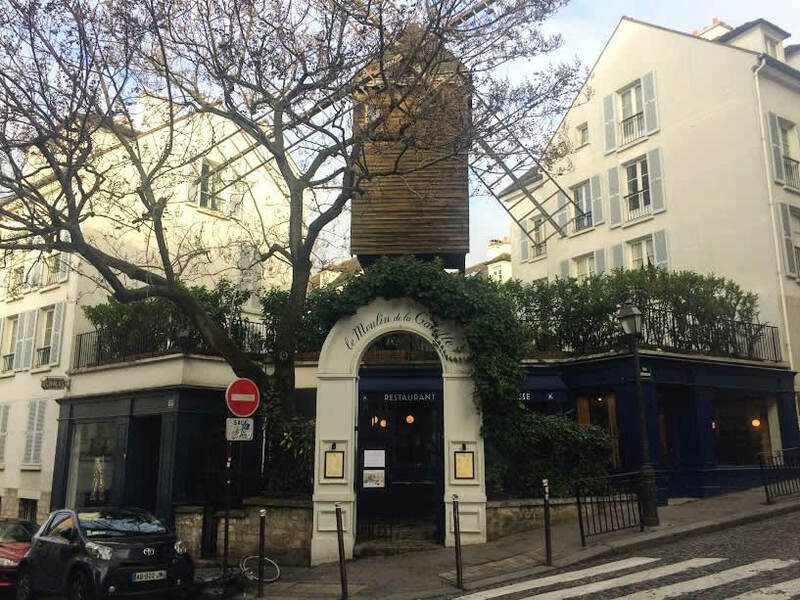 Painters started to gather and live in Montmartre, the rural area outside the city walls where the rent was cheaper. Soon, its cabarets, bars and restaurants were filled with artists having loud discussions about the future of art and painting. 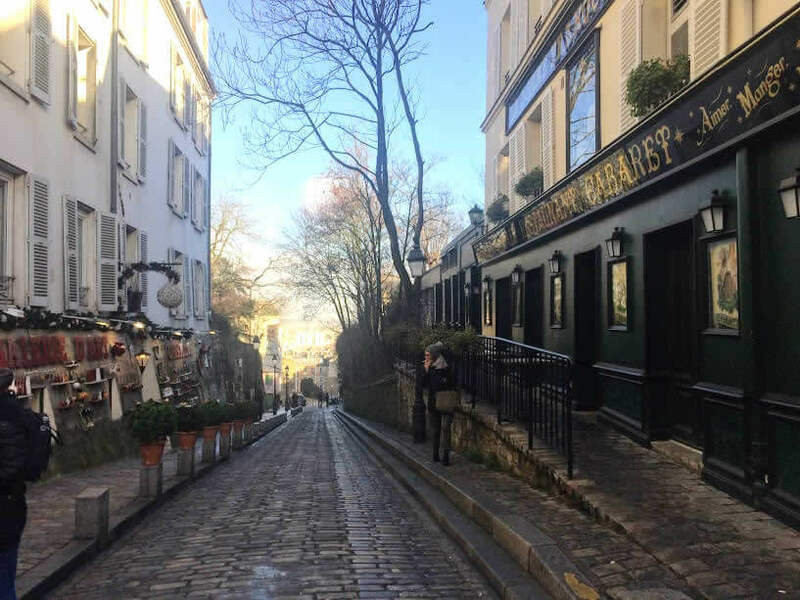 Streets of Montmartre became home to many bohemian characters, dreaming of making a new masterpiece which will make them famous. 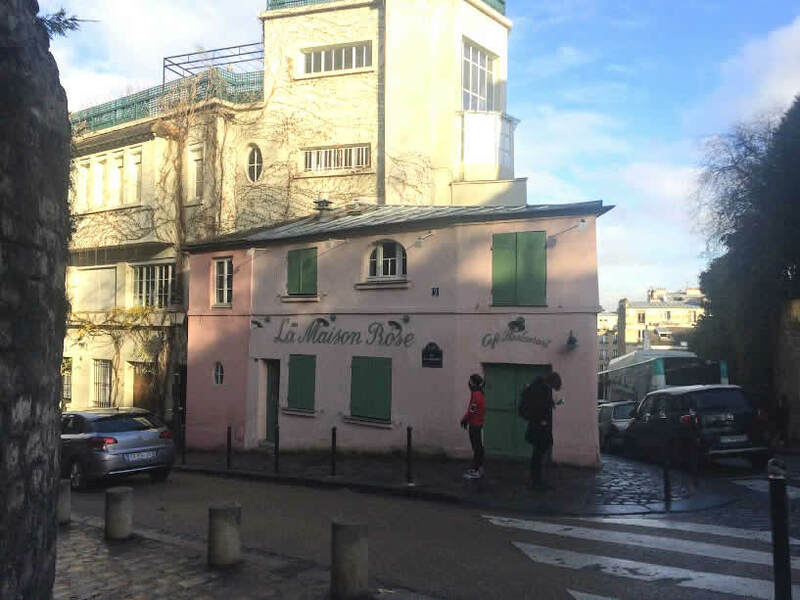 I took a walk around Montmartre and Musée d’Orsay with Dario from the Babylon Tours, who showed me some of the places where Impressionists gathered, lived and worked together. Even today, you can sense a bit of that rural feeling area had in the second half of the 19th century with its small streets and colorful houses often having a restaurant or a shop in the ground floor. The central square in Montmartre is a place where many painters are selling their paintings or are drawing the portraits of people. 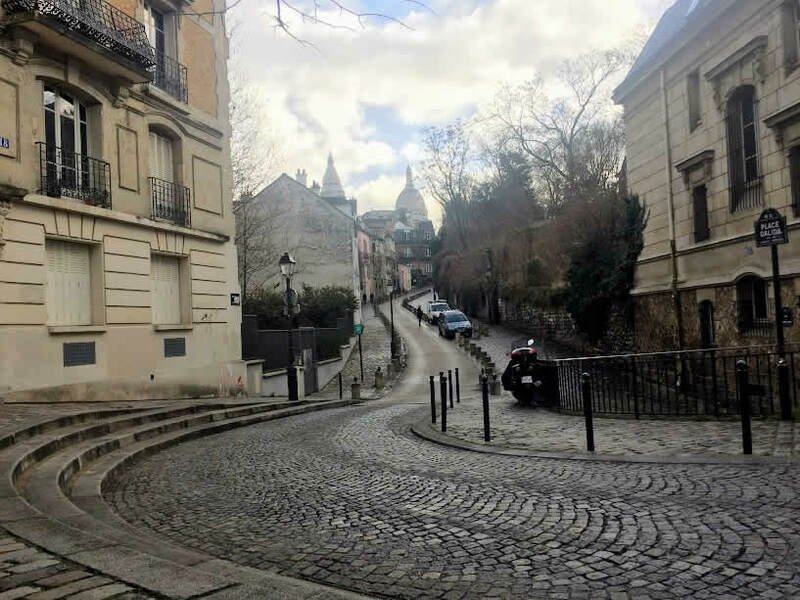 However, to really feel the Impressionists’ Montmartre take a walk to some of the smaller side streets. Time is standing still there, houses are telling the stories of its former residents and the only vineyard left there, the history of the neighborhood. Just across the street of the vineyard (which, surprisingly, still produce some wine) a small pink restaurant, called la Maison Rose is located. It was a motif of many paintings and still looks like it was just taken away from some of Impressionists’ paintings. Museum located in the small 17th century house is telling the history of the neighborhood and some of the residents that lived in the house. Renoir lived and had his studio there between 1875 and 1877 and painted some of his most famous paintings during that time, including the famous ‘Bal du Moulin de la Galette‘. The inspiration for the painting was one of the Parisians favorite restaurants, located in the heart of Montmartre. At that time the area was still rural and the Debray family who run the windmill started to made brown bread called galette. They were selling it with a glass of goat milk. 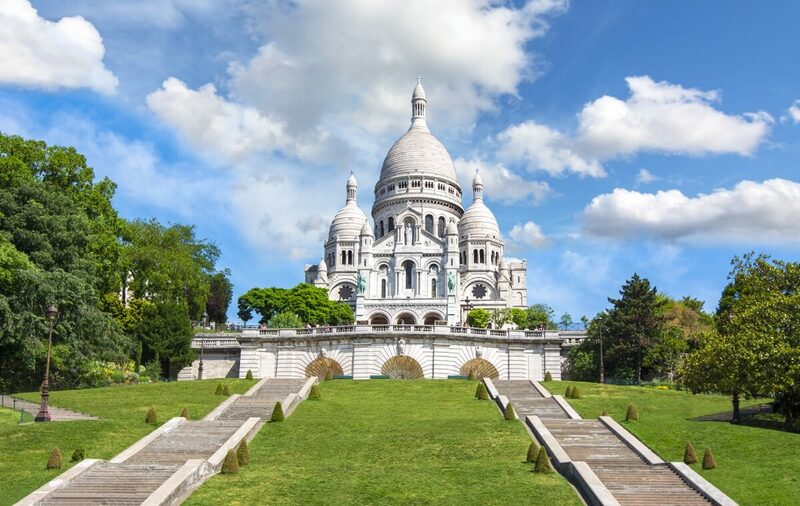 It soon started to be very popular among the Parisians who liked to come to the countryside, enjoy homemade food, fresh air and a beautiful view to Paris from the hill of Montmartre. We rushed off into the countryside to celebrate the joy of not having to listen to any more talk about politics. 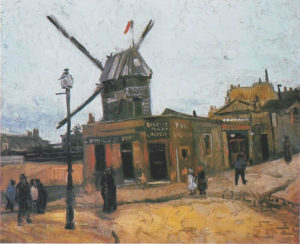 The windmill still stands, but today surrounded with a large residential building of the urban Paris. 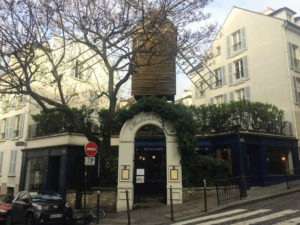 Small café was one of Impressionists’ favorite meeting places. It was the place where they were discussing art and new painting techniques. Manet was the central figure in those discussions and was often accompanied with Degas, Monet, Renoir, Sisley, Cézanne and Pissarro. Sadly, it can’t be seen anymore (there are small shops nowadays on the place where famous café once stood). Today Impressionist are having an important place in the world museums collections. To see all of them in one place, there is no better place to go then the Musée d’Orsay. Paintings are exhibited in the way to show you how the style developed and the personal differences between the painters. I especially loved paintings showing the city in which they lived – Paris. The way they saw it and the way it inspired them. One of my favorite was Monet’s ‘The Gare Saint-Lazare‘, showing the train station filled with steam from the train arriving to the station. 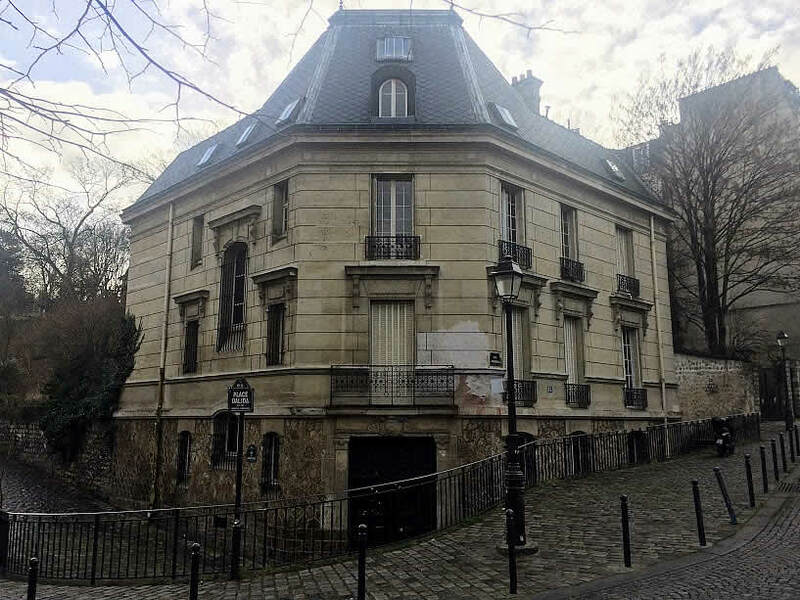 Just across the Seine River is the other place that shouldn’t be missed. Although it has a great collection of Impressionists and other modern painters, its gem are two rooms dedicated to probably the most important among them – Claude Monet. In two oval rooms eight large Monet’s canvases showing his favorite subject from the last years – waterlilies, are displayed. While standing in the room you have a feeling like you stepped in his beautiful garden in Giverny. You can take a close look of every single brush stroke on them or you can just sit in the middle of the room and admire to the paintings. It is my favorite museum and has one of the best painting displays I’ve ever seen. You can take a virtual walk through the rooms here. Claude Monet was definitely a central figure of the movement and his paintings are among the most famous ones. 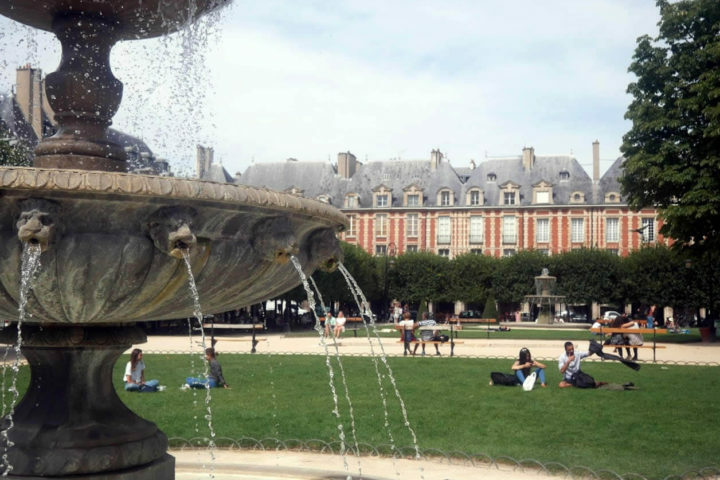 The largest collection of his work is in the Musée Marmottan Monet. In its collection it has the painting that gave the name to the movement – ‘Impression, Sunrise‘, made in 1872. The other highlight of the museum is collection of paintings of the most famous female Impressionist – Berthe Morisot. Her work is so unique among the Impressionists. Her paintings are almost drawings made by oil on canvas. A small collection there is definitely one of the highlights of the Parisian Impressionism. The place where some of the last paintings by Claude Monet were made is Giverny. 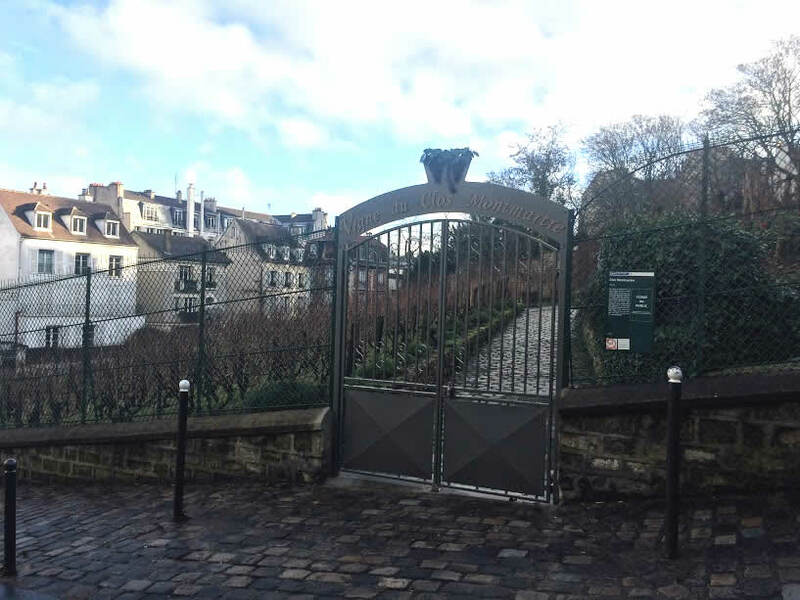 Located just outside the Paris, his beloved garden is a place where he spent last years of his life. 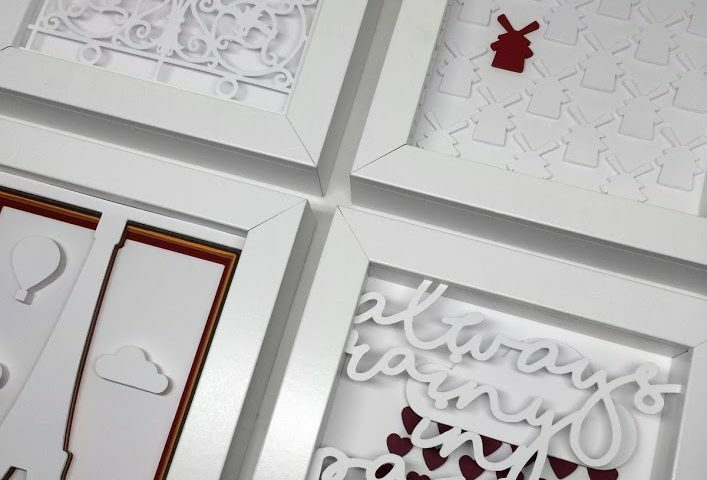 In look for the new motifs, he planted his own garden and made his own setting for the paintings. Waterlilies became his trademark, he was almost obsessed with them. The garden looks almost the same today, giving you the perfect opportunity to step into Monet’s world and understand his fascination with light and colors. After spending some time in Paris it’s easy to understand why it was a place where the new modern art was born. It was and still is the city of art and inspiration. And, after I walked through the streets Impressionists walked and saw some of their paintings, I love them even more! 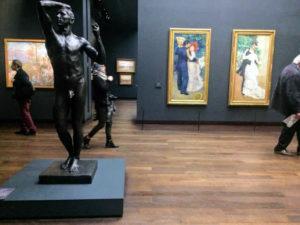 *Many thanks to Dario and the Babylon Tours for the great walk in Montmartre and Musée d’Orsay.